Now that’s a classic football shirt. Lovely stuff. 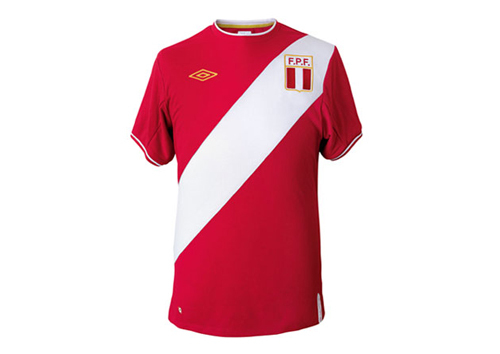 That is also a classic football shirt. 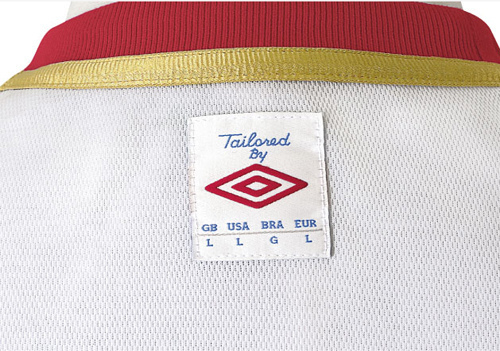 Good work, Mr Umbro. Keeping it simple works for me. 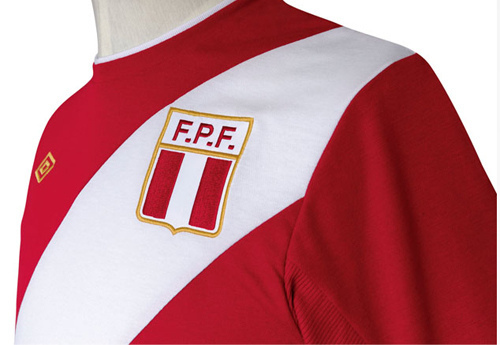 The kits will be worn by La Blanquirroja during the 2011 Copa America. Which do you prefer? I’m a big fan of the home one and hope Santa Umbro puts one in my sack. Ahem. It doesn’t get better than that. 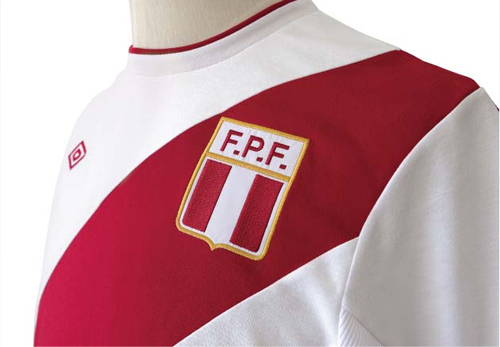 An amazingly designed kit for a country that has long had one of the best in international football. Great one. Bring back Cubillas! i asking mum to get me one for Xmas. paul have you played pes? winning eleven? fifa 12? 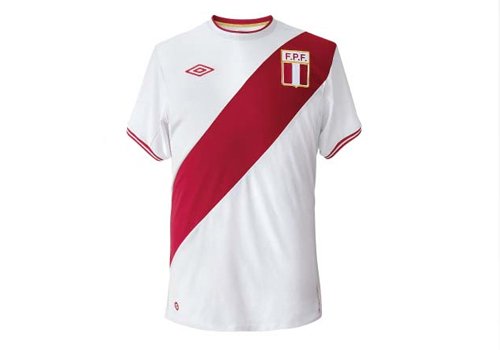 peru is in it, history wise peru is a middle class team in world cups and high class in 1970, just right now peru is going through bad times the past 20 years because of the federation presidents decisions, last cops america they were 3rd-better than even brazil or argentina…… RESPECT TO ALL SOUTH AMERICAN TEAMS, CONMEBOL IS THE HARDEST TO QUALIFY TO A WORLD CUP, EVEN SAID BY FIFA…..